UC Berkeley students are assured that they know the campus — and the town for that matter — like the back of their hand. Few UC Berkeley students, however, are aware that one of the earliest on-campus demonstrations happened in 1908 outside Stiles Hall by a group of Indian students protesting against an evangelist preaching false information about their religion. Or that Caffe Mediterraneum was a collective hub for numerous activist groups including Desi ones. For that matter, few are even aware that the vibrant Berkeley even housed a radical South Asian community with a deep-rooted history. These are but a taste of what the attendees of the Berkeley South Asian Radical History Walking Tour discover. Anirvan Chatterjee and Barnali Ghosh, curators of the monthly South Asian Radical Walking Tour, impactfully tell the stories of several South Asian activists and expose a new layer of meaning to familiar Berkeley spots. “When we do the walking tour, we are taking the place of real people so that when you walk the streets, you know the stories of people just like you who are fighting for justice,” Ghosh said. Ghosh and Chatterjee aim to empower the Desi community by telling the stories of South Asian activists who helped shape the Berkeley community we all call home. This tour displayed their commitment to interweaving the oft-downplayed South Asian American experience into the fabric of the American cultural narrative. According to both Ghosh and Chatterjee, they could not resist sharing the stories they heard from their peers who happened to be activists in the community and felt compelled to share these rich, freshly unearthed pieces of Desi history. They immediately got to work by conducting further oral interviews and archival research. What started out as a series of dinner conversations turned into this highly interactive tour program. Learning the history of South Asian activism in Berkeley in this unconventional manner outside the setting of a dimly-lit classroom was highly effective. Combining elements of street theater and spoken word, Chatterjee’s performance far surpassed the expectations of the stereotypical fact-spewing tour guide. 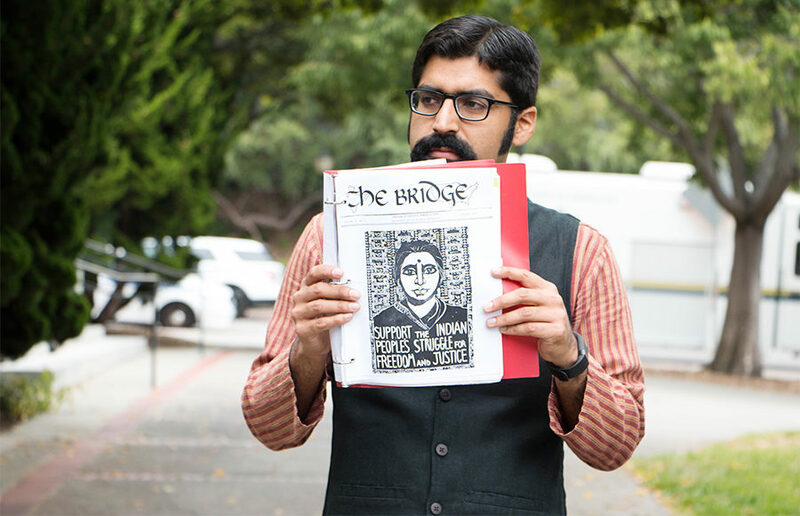 With the help of two volunteers, he re-enacted a protest staged by the Indian Students Association during the apex of the Free Speech Movement against injustices occurring back in their homeland. 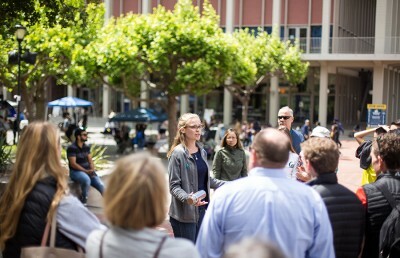 As the actors yelled demands for solidarity and held signs saying “Free India Now,” they fit easily in place into the free radical market that is Sproul Plaza. While this demonstration may have looked normal to any Berkeley inhabitant, its re-enactment was meant to honor the participants who contributed to the Free Speech Movement as underdogs to the white hippies more commonly associated with the movement. Ghosh, who immigrated to the states from India when she was 25 to attend UC Berkeley, said getting into activism was difficult until she attained citizenship. Moving away from home was a big step and her priority initially was to make sure her and her family’s investment in her education was well-spent. “I felt inspired and impacted by the type of place Berkeley could be and what it could offer,” Ghosh said. Ghosh’s involvement in Asha for Education marked the beginning of her activism career, and she only branched off from there, becoming an advocate for South Asian issues and social justice. Opportunities for social change on a grassroots level were not available to her back in India. Ghosh said that seeing these problems facing her community from an external perspective made her aspire to more than the model minority narrative of securing a high-paying job and then getting married. Coming to America also exposed her to identity politics, especially after 9/11, because, for the first time, she was forced to identify as a “brown-skinned” person. “Whether (South Asian people) like it or not, people will put this label on (them) and then it is up to (them) to decide what (they’re) going to do with that identity,” Ghosh said. This was like an assurance to all South Asians carrying the weight of their identity through all its stigmas and positivities. Through this tour, it is clear that Ghosh and Chatterjee want to solidify the complex and multifaceted South Asian identity and prove that it, too, is relevant to American history. The curators aimed to capture every nuance of the various movements described on the tour. They stopped the tour in front of various buildings owned or once-owned by Everest Properties to describe the heinous human-trafficking crimes of the owners of this real estate company. By emphasizing the strong response from South Asian women, with whom this issue resonated the strongest, the curators aimed to capture the most accurate narrative to honor the South Asian contribution to the American cultural landscape. While there was a general outrage in the community against the practices of an organization that is still standing today unfettered, these women understood every cultural and gender-related nuance of the issue. 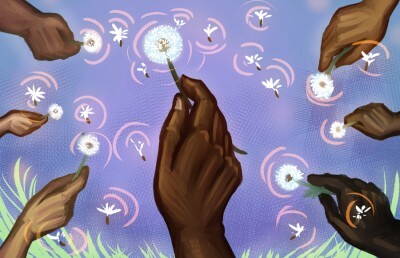 They not only succeeded in helping the trafficking survivors, but also later coalesced into the organization Alliance of South Asians Taking Action, or ASATA. 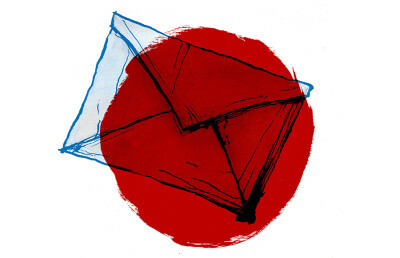 Ghosh and Chatterjee do not proclaim that the struggles facing South Asians are particularly unique or stand-alone. Instead, they made clear the power and importance of solidarity in the South Asian struggle for social justice. From describing how the Ghadar Party showed solidarity with the Irish by participating in the St. Patrick’s Day Parade, to how the influx of skilled Indian immigrants would not even be possible had it not been for the tireless work of civil rights activists to eradicate all racial exclusion legislation, unity proved to be among the most important themes.